As soon as we check into a hotel room, any hotel room, one of my kids always has to make a run to the ice machine. What’s up with that? 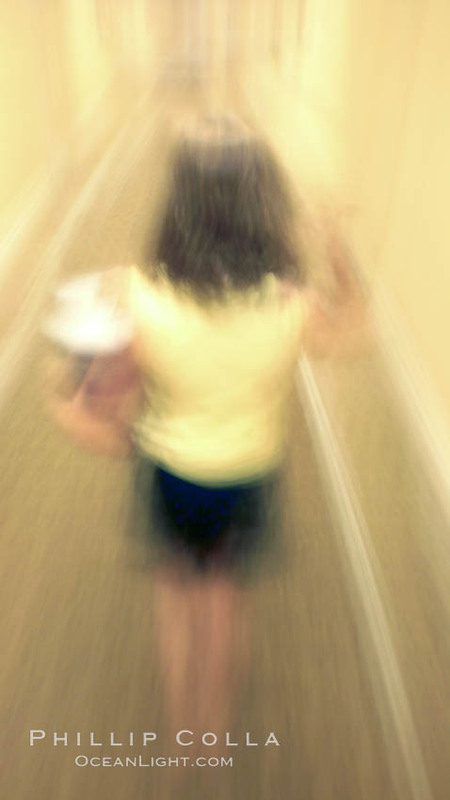 Girl walks down hotel corridor at night, carrying ice bucket, abstract blur time exposure.